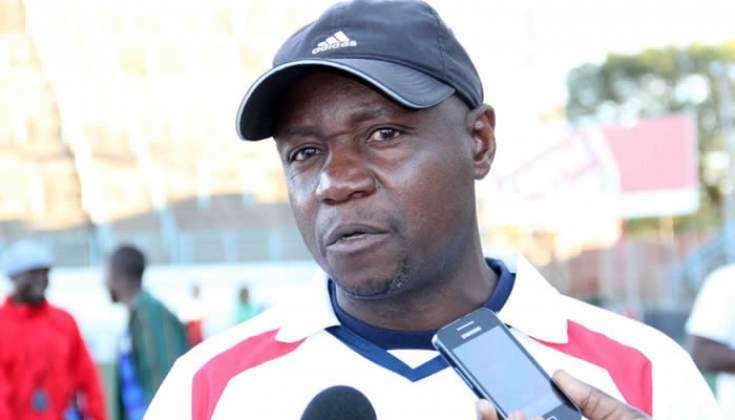 DYNAMOS' interim coach Biggie Zuze says there is no bad blood between him and his predecessor Lloyd Mutasa, stating the two will be in constant consultation, especially ahead of the team's next league game against FC Platinum at Rufaro Stadium on Sunday. On Sunday, Zuze opened up on his relationship with Mutasa, who is now the club's technical director after he was relieved of his duties as head coach following Dynamos' fifth defeat of the season to Harare City at Rufaro. The Dynamos stand-in gaffer, who got off to a winning start beating Bulawayo Chiefs at Barbourfields on Sunday, said when he was assistant coach, he had a healthy working relationship with Mutasa, which will continue even in their new roles. "We were working very well (with Mutasa). The good thing is there is continuity in the team after I took over. He is still within the set-up. He is my boss now, heading all the coaching departments in the Dynamos' family, so he is still around. Right now, we will go and consult him after the way we played and he will come up with more strategies for us for the next game," Zuze said. One of Mutasa's duties, as stated in his letter of re-assignment, is: "To give advice to the technical team where necessary." Zuze said there was a lot of work to be done, but the team had been playing well despite positive results eluding them and he was hoping the win on Sunday was a confidence-booster for the boys going forward. "There is still a lot of work to do. It's just the beginning and we just keep our heads cool, as we move forward, especially with our next game against FC Platinum. It's not going to going to be easy, but I think the morale and the confidence is building up with the result that we got," he said. Emmanuel Mandiranga played well on the left wing, supported by scorer Quality Kangadzi, with Blessing Moyo also having a field day. Dynamos striker Kudakwashe Kumwala had a bad day and was substituted for Tawanda Macheke in the second half, while stand-in skipper Marshal Machazane and right-back Peace Makaha also enjoyed a good game. Zuze said he was looking forward to winning all the games to change the fortunes of the club, calling on the Dynamos' home fans to take a leaf from their Bulawayo counterparts, who came in their numbers to rally behind the team. "It is every coach's target to win matches. Whatever is going to happen is another story. I also want to win and improve our standings on the table and to stabilise our ship. I liked the way our Bulawayo fans came to support us and I think the Harare fans should also learn from them," the interim gaffer said. After their third win of the season, Dynamos made a notable move up the ladder to position eight with 12 points, four behind city rivals Caps United, who are on position seven after losing to Ngezi Platinum Stars at the National Sports Stadium on Sunday.